impairment issues – how do you properly test it? This webinar is suitable for practitioners, director and accountants– Australia wide. This webinar is for practitioners with some knowledge in this area and looking to improve their knowledge. 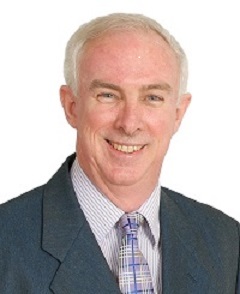 Keith Reilly is a financial reporting consultant and covers accounting, auditing and ethical standards, as well as governance and regulatory issues. He has some 40 years’ experience in the financial reporting field, most recently (July 2013) being the National Head of Professional Standards at Grant Thornton Australia, and a member of Grant Thornton’s International Public Policy Group, Independence Working Group, and IFRS Committee. He was previously the technical director and advisor for the Institute of Chartered Accountants in Australia, and has also worked with the Australian Securities Regulator (ASIC), been an advisor to a major institutional Australian stock broking firm, and a former Research Director and Auditor for two Australian Big 4 audit firms. Keith consults, writes and lectures extensively on financial reporting issues. He is a former member of the Australian Accounting Standards Board’s Urgent Issues Group and a member of the Accounting Professional and Ethical Standards Board’s Code of Ethics Taskforce.